Mom, the Intern: Nothing bundt new friends and fun! Nothing bundt new friends and fun! 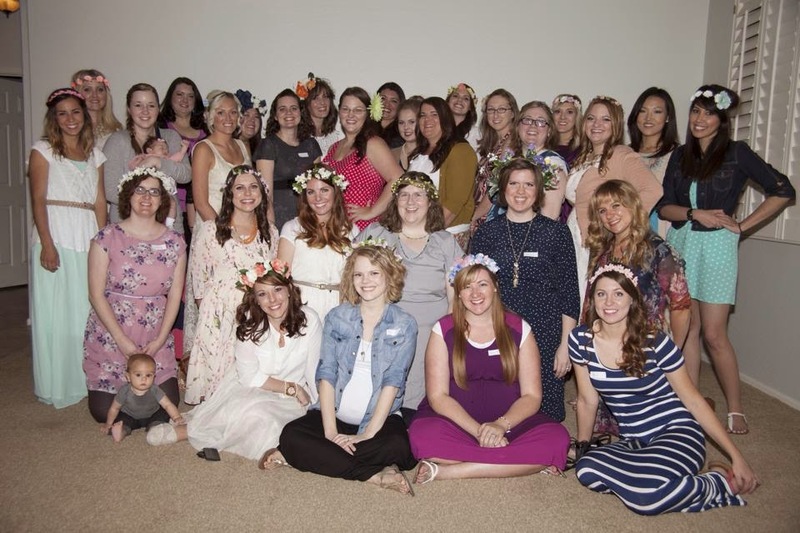 Saturday before last, I decided that despite my enormously-pregnant (and uncomfortable) state, I was going to attend the local AZ Blogger Meetup function. It was just up the street from me and we'd been informed Nothing Bundt Cakes would be served. Cake of any kind basically has me sold, but these cakes ... they are the stuff of legends. I'm not even kidding. The frosting is amazing, sure, but the cake ... THE CAKE. It's so dense and moist and flavorful and 100 percent delicious. People travel far and wide for these beauties. Locally, you can find them in Scottsdale, Ahwatukee, Central Phoenix and Glendale. 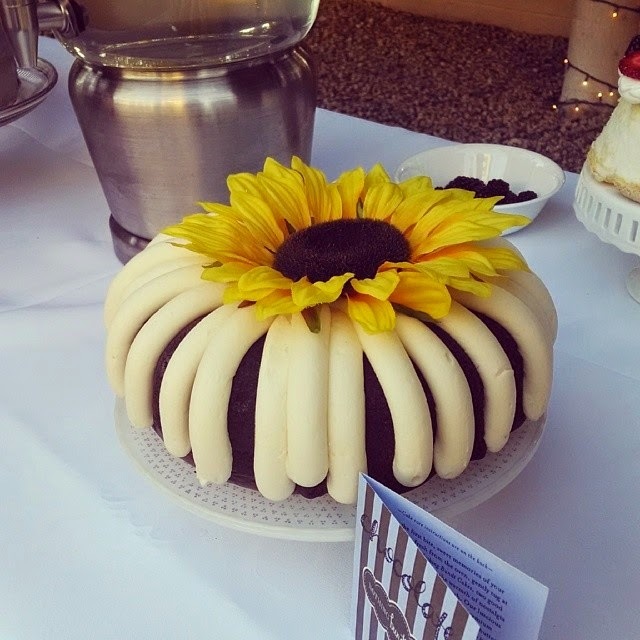 Thank you, Nothing Bundt Cakes, for donating two scrumptious and beautiful cakes to our blogger shindig! Besides the cake, I knew if I hauled my big ol' belly to this party, I'd have some great conversation and meet a bunch of new friendly bloggers, which of course, both happened. I love these people! Check out our purty floral crowns. The amazing +Chrissy Delacy (left of me in the picture) made my crown for me since I'm a slacker and most uncrafty on top of that. She also made me tons of gorgeous pretties for the new baby. Such a great friend and human being in general. 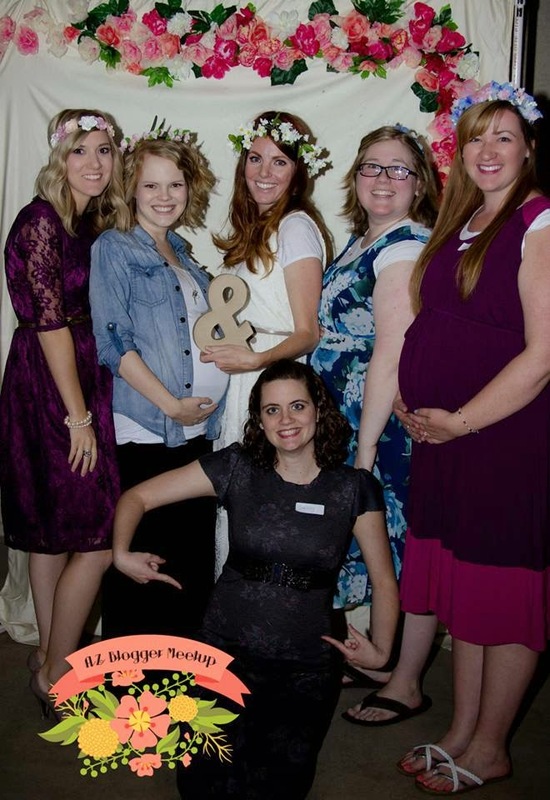 I took a picture with all the expectant mamas, too. We sat together to eat and shared pregnancy war stories all night. I'm definitely the most ripe of the bunch, as you can see. Huge thanks to +Chrissy Delacy, +Camille Millecam Whiting, +Kayla Moncur and everyone else involved with this event. It was so much fun to get out, chat with old friends, meet new ones and of course ... eat cake. You guys are amazing. It was so great to meet you and you are adorable! You are such a radiant momma at 9 months for sure--hope I look even half as cute as you someday when I'm pregnant! This title- YOU. ARE. BRILLIANT!! !